So-called "super-Earth" alien worlds may bear little resemblance to our own home planet and thus could be less likely to support life than previously believed, a new study suggests. Super-Earths — alien planets bigger than Earth, but containing less than 10 times its mass — may be undifferentiated hunks of rock, possessing neither a mantle nor a core, researchers found. Super-Earths may also lack magnetic fields, which help protect life on our planet by shielding it from harmful radiation. The scientists modeled the thermal evolution of rocky super-Earths, whose internal pressures are many times greater than those found in Earth's interior. Such high pressures lead to large viscosities and high melting temperatures, the team discovered — and these characteristics can have negative influences on a planet's habitability. “Current understanding is that the terrestrial planets in our solar system formed rapidly — in about the first 50 million years," Vlada Stamenkovic, of the Massachusetts Institute of Technology, said in a statement. "The timescale of core formation depends strongly on viscosity," Stamenkovic added. "The high melting temperatures and the large viscosities that we’ve calculated for super-Earths suggest either a slow core formation or no core formation at all." Earth's magnetic field is driven by the action of our planet's liquid metallic core. So if super-Earths lack such a core, they may lack magnetic fields as well, Stamenkovic said. Even if rocky super-Earths are differentiated, convection would likely be sluggish, or stagnant layers could form deep in the mantle, researchers said. Either of these factors would reduce heat flow from the core and quash dynamo action that could generate a magnetic field. The new study also found that the propensity for plate tectonics — which are a boon for life on Earth, helping to bring vital nutrients up from the planet's interior — decrease as a planet's mass increases. But water in a planet's crust can buffer this effect, so researchers can't say with confidence how likely super-Earths are to host plate tectonics. Volcanic activity has also been vital to life on our planet, helping to establish Earth's atmosphere. The new research finds that the duration of volcanic outgassing generally decreases with increasing planetary mass, which could be more bad news for the prospect of life on super-Earths. The new study also highlights how much is unknown about super-Earths, and the necessity of gathering more information about these mysterious worlds, researchers said. 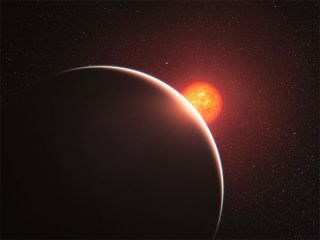 "We will only be able to fully answer questions by gathering more data from high-pressure experiments and from spectroscopic observations of super-Earth atmospheres orbiting close-by bright stars," Stamenkovic said. "Theory shows the possibilities, which are far larger than previously thought, but remains full of uncertainties." Stamenkovic will present the results at the European Planetary Science Congress in Madrid on Wednesday (Sept. 26).